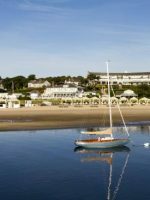 Chatham Seafarer is a family-friendly hotel that’s perfect for families on a budget. 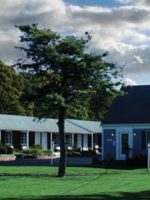 The property’s 20 rooms offer guests in-room coffee and tea, air conditioning and heat, private baths, cable TV’s, and comfortable, unique furnishings. 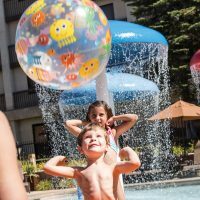 Families enjoy the hotel’s garden and heated swimming pool, but the best thing about the hotel (aside from its value) is its proximity to downtown Chatham, excellent beaches and all types of family-friendly fun. 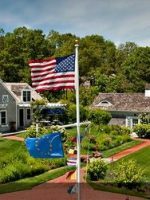 A beautiful stretch of Nantucket Sound is a 15-minute walk from the property, and within five miles, you’ll find horseback riding, miniature golf, go-carts, playgrounds, batting cages, sailboat rentals and more. You’re also minutes away from the area’s best local restaurants! Nice clean room with comfortable beds. 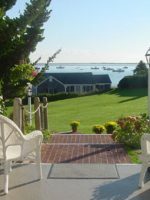 It's in the perfect spot to explore Cape Cod as you are pretty central and it is a very short drive to central Chatham. The internet wasn't great but that didn't bother us too much. We were kindly upgraded to a kitchenette room which we didn't make use of but by the looks of it you are provided with everything you would need in the kitchen. 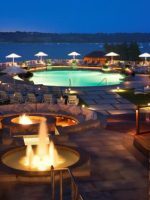 The pool area also looks lovely.